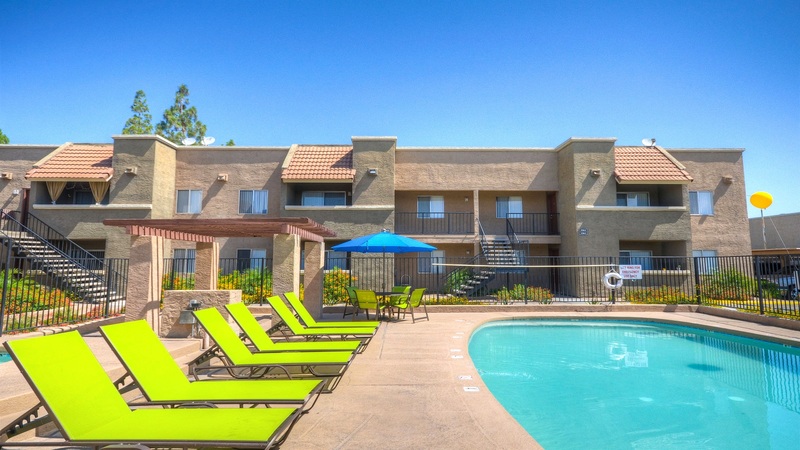 Phoenix, AZ – November 17, 2017 – ABI Multifamily, the Western US's leading multifamily brokerage and advisory services firm, is pleased to announce the $25,000,000 / $82,237 Per Unit / $94.67 Per SF sale of Arroyo Vista Apartments located in Glendale, AZ. Arroyo Vista is a two story, garden-style apartment community compromised of 16 buildings that rest on approximately 10.01 acres. The property was built in 1984 of frame construction with built-up/flat roofing and boasts an attractive unit mix of 72 - 1 bedroom, 208 - 2 bedroom and 24 – 3 bedroom unit types with a weighted average size of 869 square feet. All units are individually metered for electricity and have individual HVACs and all 3 bedroom units have in-suite washer & dryers. Community amenities include dedicated rental office, resident clubhouse, pool, spa, playground, and dog park. According to Doug Lazovick, Partner at ABI, and lead broker for the Buyer "there were many aspects that drew the Buyer to the property: the heavy majority of Two Bedroom/Two Bath units, attractive going-in Cap Rate and the ability to add-value through modest interior and exterior renovations." "The property was in excellent shape and well operated by the seller over the past 24 years. Over the past 10 years I have transacted over 1,000 apartment units for this seller and they have always been exceptional to work with. Can't say enough good things about them; how they operate and treat others – Point blank, The Wasatch Group is an exemplary organization to be involved with," states Alon Shnitzer, Senior Managing Partner at ABI and lead broker for the selling entity. The Buyer, Bear Holdings Group, is based in Scottsdale, Arizona and provides project sponsorship, joint venture and investment opportunities for multifamily construction, acquisition, conversion and rehabilitation. Bear Holdings has developed over 83 multifamily and mixed-use developments in California, Nevada, Michigan, Indiana and Arizona valued at just under $1B. Arroyo Vista is their 3rd Arizona acquisition. "We believe Phoenix is a tremendous market now and into the foreseeable future" says Ralph Saterbak, Key Principal with Bear Holdings Group. The Seller, The Wasatch Group, is based in Utah and are a fully integrated real estate development, construction, property management and guaranty capital company, with holdings that include 16,344 apartments plus commercial properties with assets totaling over $4 billion. The multifamily brokerage team of Doug Lazovick, Alon Shnitzer, John Kobierowski, Rue Bax, and Eddie Chang represented both the Buyer and the Seller in this transaction. ABI Multifamily (http://www.abimultifamily.com/) is a brokerage and advisory services firm that focuses exclusively on apartment investment transactions. With offices in Phoenix, Tucson and San Diego, the experienced advisors at ABI Multifamily have completed billions of dollars in sales and thousands of individual multifamily transactions. ABI Multifamily incorporates a global approach with regional real estate expertise to successfully complete any multifamily transaction, regardless of size and complexity.